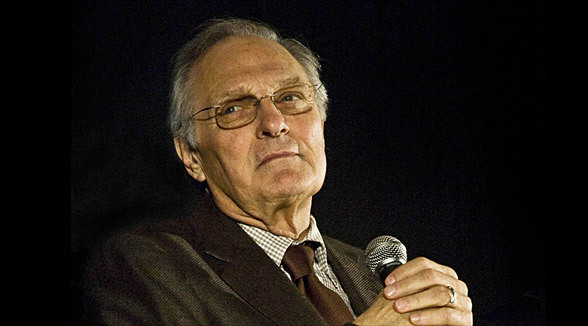 Last weekend I was reading Alan Alda's second biography "Things I Overheard While Talking to Myself" (He was the actor playing Hawkeye Pierce in M.A.S.H.) It is an enjoyable book (much better than his first biography) as it is more about things he learned than things he did. Your values really are not what you say, as much as what you do. You may tell yourself you are going to Chicago, but it's hard to get to Chicago if you keep buying tickets to Los Vegas. Alan nails it. This is exactly why so many companies fail to make a difference. You say you want to be something, but you keep doing the old thing. The thing that is leading you down the wrong path. One example: A few years ago I was at a meeting at this big company, who wanted to start selling products online. I talked about all the things I usually do. Focus on the product. People do not want your shop, they want the products you sell. The shop is just a tool. Make it sharable. Connect it to the other ways you connecting with your customers.Make sure your shop is where people are. Don't make it a separate closed of place that people have to go. People agreed and everything seemed fine. It was all about creating a shop and nothing about giving people a reason to buy. It was just a template. You may tell yourself you are going to Chicago, but it's hard to get to Chicago if you keep buying tickets to Los Vegas. We see the same in every other business. Newspapers and magazines talk about embracing the digital world, but then they create an iPad app that mimics print. One with daily issues in a closed environment. Brands talk about embracing social media, but then they use it as a marketing channel to present their advertising campaigns. They say they want to do one thing, but when it comes down to it, they do the old thing. If you want to be successful, you have to buy the right tickets and get on the right train. That means taking a risk. Sometimes it is a risk so big that it may destroy your business. This is scary, stressful, uncomfortable, and you might not sleep well at night. But it is the only way you can really change. It is the only way you can make a difference. And if you make it...well...isn't the risk then worth taking? Not only for your product, but also for you as a person? What is the point of not taking the risk? Are you so afraid of being successful that you don't dare even try? Are you buying the wrong tickets?